Princess Hotel Danang have good location. it is between My Khe Beach and Danang City Center, it’s so convenient to visit both. Apartments and penthouses equipped with fully modern amenities and luxury, including a living room, a bedroom and Apartment and penthouses are equipped with fully modern amenities and luxury, including a living room, a bedroom and a kitchen. Princess Hotel Danang located nearest My Khe Beach (The Forbes voted My Khe beach in Da Nang as one of the six most attractive beaches on the planet) and also near the romantic Han River with modern swing bridge, it ‘s also called Han Bridge. 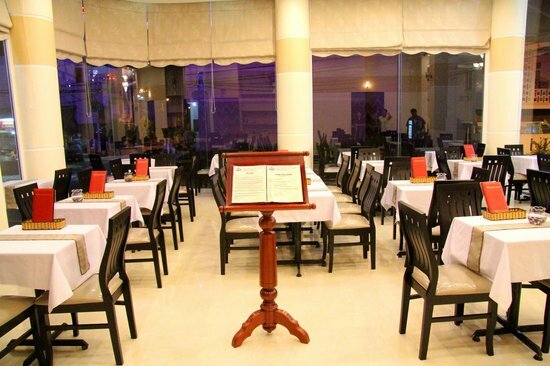 It's just 10 minute drive from Danang International Airport. Our beautiful three- star hotel consists of 10 floors with 4 types of rooms: Superior, Deluxe, VIP Princess and 1 Penthouse. From all rooms, visitors can admire the famous scenic city of Danang as the Han River swing Bridge, Son Tra Peninsula (green lungs of the city), My Khe Beach. All rooms are designed in contemporary style, comfortable and friendly; you'll feel relaxed when staying here. Experiencing once in Princess Restaurant near the Hotel’s lobby, you will enjoy popular dishes from all regions of the country. You will really feel the special flavor of the authentic local cuisine by skilled chefs. With modern equipment, professional staff, Princess Hotel Danang will surely bring comfort to travelers staying in our hotel. Wish you an enjoyable and nice stay in Princess Hotel Danang.